You are here: Home / Home / Law Guide / Personal Injury Law / Going to Court / How Long do You Have to File a Lawsuit After a Car Accident? When you are injured by the negligence of another person, you can force them to pay to compensate for the harm that they caused by getting a court judgment by winning a lawsuit in your state. Establishing the laws for any state is a careful balance of fairness and efficiency. We want our legal system to be as fair as possible, while not sacrificing too much efficiency. The fairest outcomes would be ensured if every person could fully litigate their claim in front of a judge and jury at any time. There is not enough time and resources for that. Cases would end up being tried several years after the incidents occurred, which gave rise to the litigation. That length of time can be incredibly frustrating to the party trying to recover, and it can create enormous problems as far as evidence is concerned. Documents can be lost, parties can disappear. Not to mention that the court system is extremely expensive. It is expensive to access it, and it is expensive for the taxpayers to pay for it. The courts have learned long ago that there must be procedural rules put in place to put a stop to the madness. There are many reasons that a court can simply dismiss a case for the sake of efficiency. One of those rules is referred to as a statute of limitations. Each state has their own statute of limitations in place. A statute of limitations is a law that limits the time period in which an injured plaintiff can file a civil law suit against a defendant. This time period begins running on the date of the alleged accident or incident. Some states have a period as short as one year, that means that if you were in a car accident, you would only have one year from that date to file a lawsuit or you would forever lose the right to do so. 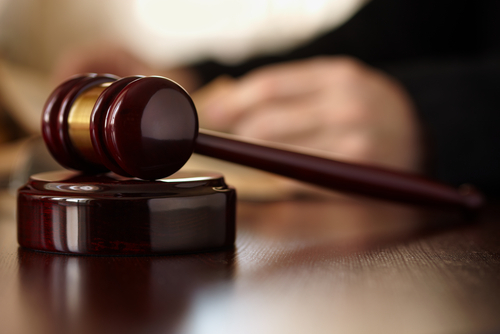 Your case would be dismissed if it was filed more than one year to the day after your accident. Some states, such as Oregon, are extremely lenient, they allow ten years as the statute of limitations. Utah falls on the more lenient side as well, although the majority of states only allow two or three years, Utah allows four. So, if you are hit in a car accident in St. George, Utah, you have four years to resolve your claim. This may seem like a very long time. When dealing with a complicated injury case, its not. It is important to remember that only bad cases go to trial, good cases get settled. If the settlement process doesn’t work, a lawyer will file your case with the court. The settlement process can take several months, and it does not even begin until the injury victim has completed medical treatment and been restored to full health. That phase can take as long or longer than the other phases of the case. The trouble is, if your statute of limitations has run, you will no longer have any ability to file your claim at all. The reason is that insurance companies who have stepped in to defend the at-fault driver will only pay what they believe they may be forced to pay by the court if the matter is litigated. That is why victims typically get a great deal more money by simply hiring an attorney. If the statute has run, the amount that the court would force them to pay would be $0.00, and that is exactly what the insurance company will offer you if you don’t have a lawyer in St. George, Utah file in time. Negotiating Fees with Your Lawyer What is the Likelihood that Your Car Accident Case will go to Court?